Stock up on Slim Jims before they're all gone. It’s about to get tougher to snap into a Slim Jim. ConAgra, the company that makes Slim Jim, has not produced the jerky treat since a North Carolina plant exploded, killing three employees. It was the only plant in the country that made the snappy snack. Analysts believe that once news gets out that there is a Slim Jim shortage, fans of the food-like product will begin hoarding them. "People who like [Slim Jim], when they find out that there's a shortage, are going to grab onto them, I'm certain of it," said Harry Balzer, a food industry analyst with NPD Group. "Maybe [Ben] Bernanke should step in with some TARP money because people can't live without their Slim Jims." Balzar isn’t too far off the mark. Slim Jims have an inimitable style, and fans won’t accept substitutes. 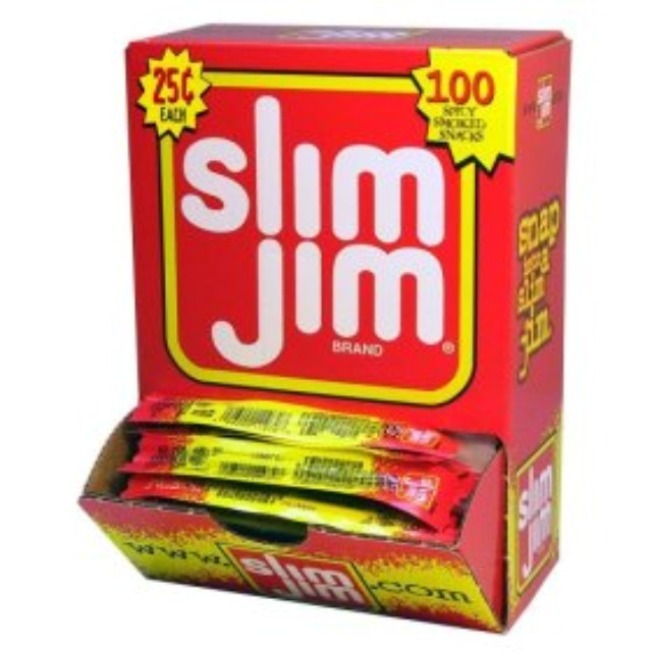 "[Slim Jims] loyalty is very high," food industry consultant Jim Degan told the New York Post. "If you eat Slim Jims, you aren't going to find brand B or C to be an acceptable substitute." ConAgra said they produce about 500 million of the dried-meat snacks – which take in an annual haul of about $200 million. They will use existing stores of the product to stock the shelves of convenience stores and gas stations until production can start again, but they don’t think they’ll be able to meet demand.